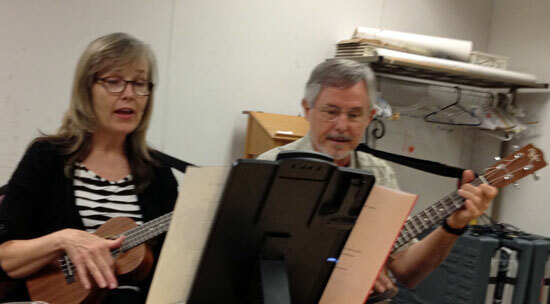 Our May monthly meeting, held on Thursday evening, May 9, was just like most of our meetings, and that’s good–folks had a lot of fun getting together, learning a new song, and for a group of us, getting ready to make an appearance. As usual, about 40 people attended, about ten of them for the first time. We played the new song–well, it’s hardly a new song. It’s that old favorite, Up on the roof, written by Carole King and Gerry Goffin and made famous by the Drifters in the early 1960s. Both Bob and I (Walter) thought it sounded fantastic when the group performed it. I do not yet have a copy of Bob’s final “Presentation” version to post, but I hope to post it soon. Lots of fun stuff will be coming up in the Austin ukulele community. 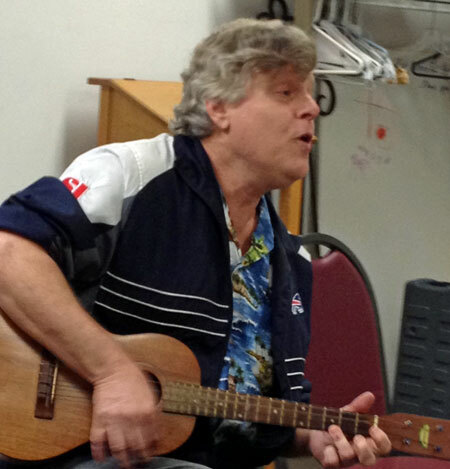 Jim D’Ville will be doing a workshop on June 1, Kevin Carroll’s uke group will be presenting a recital, and AUS is bringing uke songstress Deb Porter to Austin to do a workshop on How to Sing with Your Uke, plus a house concert, on Thurs., June 20–more details will arrive in the next post. The appearance mentioned above happened the next evening, May 10, at Zilker Elementary School in south Austin. We had a great time and performed for a receptive audience. More about the Zilker appearance will appear here soon. Thanks to those who did their solo (or duet) numbers at the May meeting–Kendra, Woody, Bob, Sandra & Ray, Jack, and yours truly. For anyone in Central Texas who might be reading this post, but hasn’t attended one of our meetings, please join us! No obligations, it’s free, and it’s fun. For any of those who might have attended a past meeting, but is struggling with their instrument, we say “Come back.” We can get you hooked up with someone who can help you feel more comfortable with your instrument. 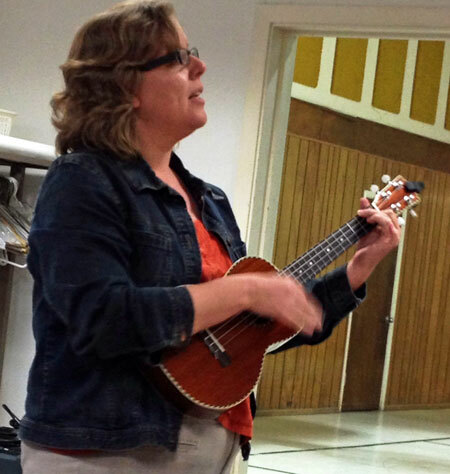 This entry was posted in AUS activities on May 14, 2013 by Austin Ukulele Society.